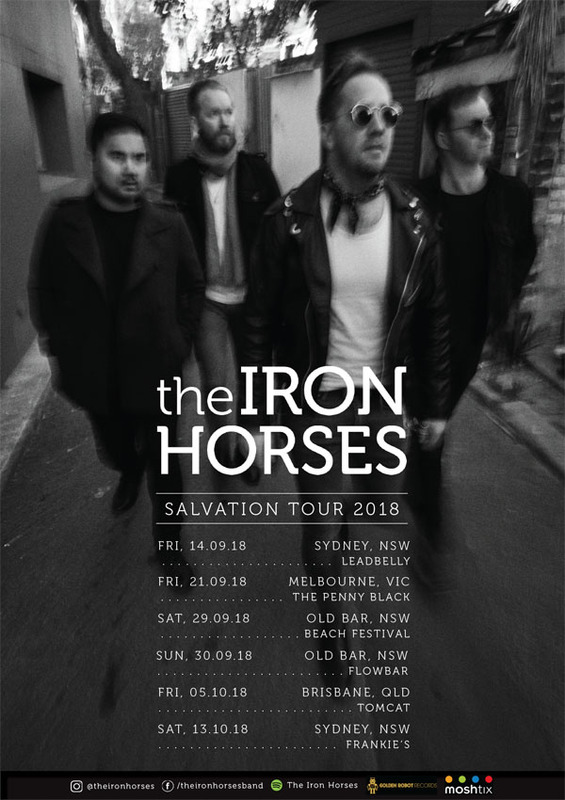 Sydney indie rockers, The Iron Horses, will release their latest single, Salvation, on Friday 12th October. 'Salvation is our biggest track to date!' says The Iron Horses vocalist, Duncan Welsh. 'It’s a great insight into what’s coming on the album. That ethereal reverb runs all the way through the track and the chorus hits like a heavy weight. We were rehearsing for a few shows in mid June and began jamming on this chord progression while we were in the studio. I had written a new track a few days previously and I wasn’t quite sure how the lyrics were fitting with the melody.